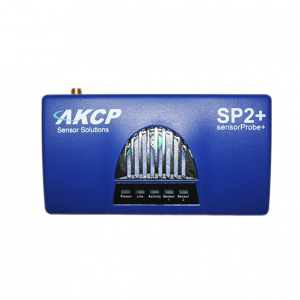 The AKCP Air Velocity Transmitter is designed for systems that generate heat, and a steady flow of air is necessary to dissipate this in order to maintain system reliability and safety. 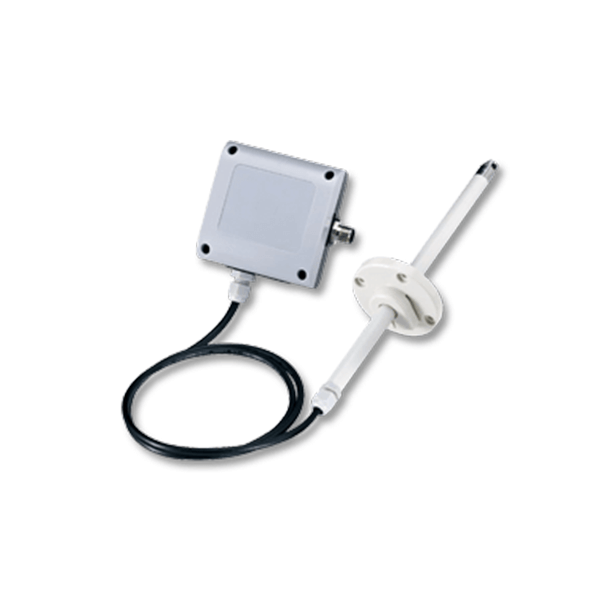 The Air Velocity Transmitter sensor is placed in the path of the air stream, where the user can monitor the status and the amount of the flowing air. The sensorProbe or securityProbe web interface shows this information using a percentage and graphical display. In addition to an on/off indication, it also graphs the analog values over a period of time. If, for example, the air flow decreases the web interface will show an indication of change over time. In addition to the web interface readings the sensor has its own SNMP OID for alarm/normal status and to get the current analog value. SNMP traps are sent when critical. polling via SNMP get is also available. Air Velocity Transmitter can be extended to your desired cable length using one of our CAT5 extension cables, CABXX, or you can provide your own cable of any length up to 60 feet. Up to 2 airflow sensors per sensorProbe2, 8 per sensorProbe8 and securityProbe. One example of how the AKCP Air Velocity Transmitter can be utilized in a data centre where vented server cabinets are used to sequester the hot return air from the equipment in the server racks is described below. The AKCP Air Velocity Transmitters were installed using the special mounting brackets in the return air duct of each cabinet to measure the relative air movement through each cabinet and to be alerted when airflow through any cabinet became disproportionate to the thermal load in that cabinet. This ensures that only the specific amount of air needed to cool the equipment in that server rack is allowed through the cabinet. 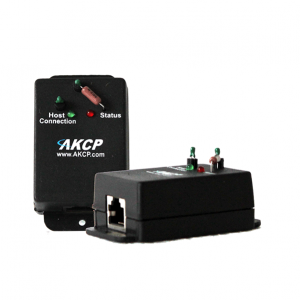 The AKCP Air Velocity Transmitter combined with the AKCP sensorProbe8 base unit provides an affordable solution that scales well if future expansion is required needing additional cabinets. In today’s advanced energy-efficient facilities where energy consumption is carefully monitored and target PUE’s need to be strictly adhered to and controlled, the AKCP Air Velocity Transmitters installed in these cooling systems combined with our sensorProbe8 unit provides the perfect solution by very carefully maintaining an appropriate airflow through each cabinet.